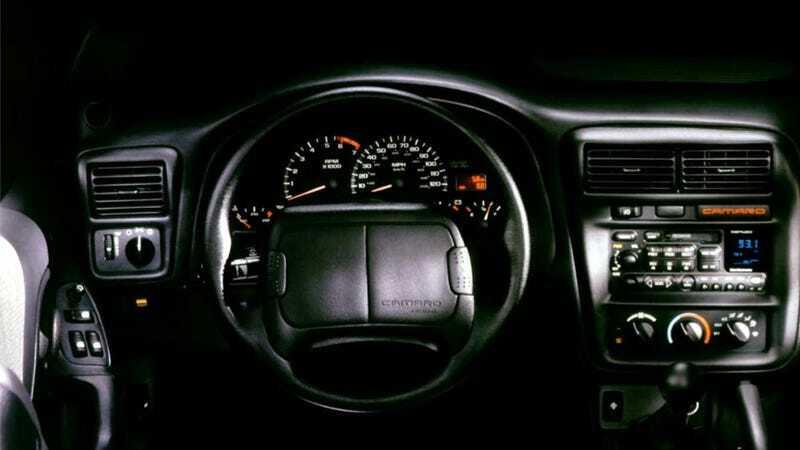 What's The Ugliest Steering Wheel? The steering wheel is probably what drivers look at most, besides the road itself. It sits right there in front of you, and is the most important part of the car if you consider that without it, you can't really do anything. It's too bad, then, some of them are flops. What do you think is the ugliest steering wheel? You would think that with all the importance that steering wheel holds, designers would spend quite a bit of time styling them just so. Sometimes they get it right, as you showed when we asked you what the most beautiful steering wheels are. Sometimes they get it dreadfully wrong, though, like on the fourth-generation Chevrolet Camaro. The wheel in the Camaro was a two-spoke affair, and it looks like they just ripped it out of a van. The rim is skinny and covered in cheap leather, leaving your hands sticky to the touch before it all shines away, and the center is just big block of plastic. Gross. Surely that's not the ugliest wheel of all time though. Which steering wheel do you think should be buried and never seen again?